Stocks rebounded last week, with the S&P 500 rising by 1.43 percent to 2,415.82, a new all-time closing high. 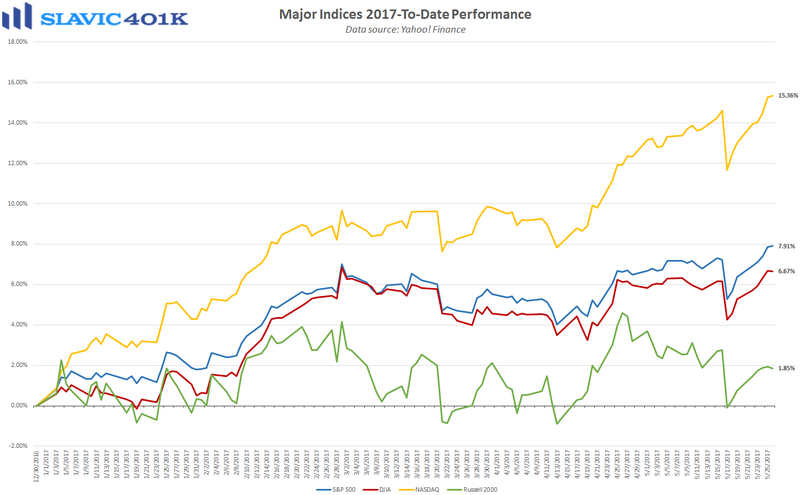 That was also the largest 5-day gain for the benchmark index in a month, and it left the S&P 500 up a solid 7.91 percent 2017-to-date. Such price action supports the earlier argument that unusual spikes in volatility have historically been a positive for equities over short time horizons. 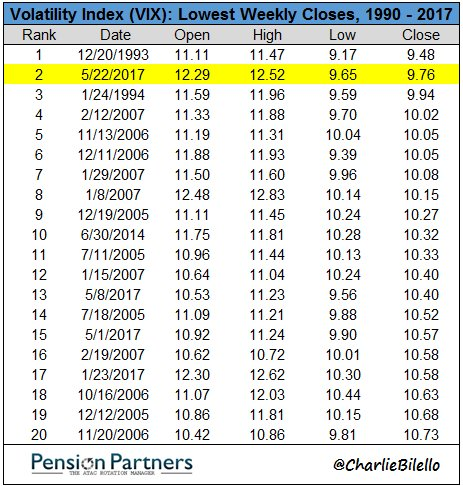 In fact, the CBOE’s VIX volatility index, often referred to as “investors’ fear gauge,” ended last Friday at 9.81, the 2nd-lowest weekly close on record and therefore a significant turnaround following the prior week’s 46.38 percent intraday surge. While the resiliency of this current bull market is undeniable, bears remain persistent, as evidenced by the continued expansion in short interest. Further, investors have pulled over $12 billion from U.S. equity funds in the last two weeks. 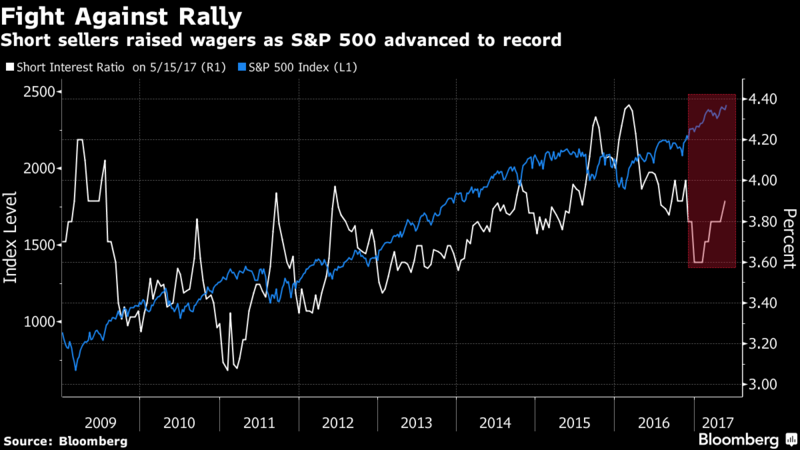 All of this could imply that many traders are anticipating a sharp selloff in the market, not surprising with stocks continuing to push to new highs despite a lack of any major improvement in fundamentals. 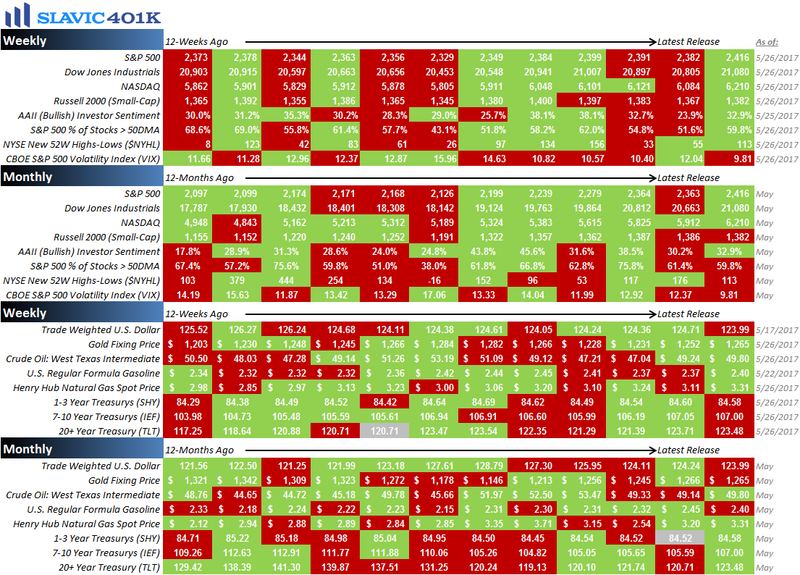 These same market conditions, though, could also help fuel another substantial leg higher for equities, e.g. lots of cash on the sidelines that needs to be put to work and many bears that would be forced by rising prices to cover (buy back the shares they are short). However, even if stocks did wind up experiencing a big correction, it could actually be healthy for the market because it would make it easier for all of the investors who have remained in cash and missed out on the earlier run-up in equities to finally step in and participate. Moreover, novice investors must learn that selloffs are far from uncommon in the stock market. The S&P 500 since 1980, for instance, has experienced an average intra-year drawdown of 14.2 percent but still posted a positive annual return for 28 of the past 37 years. Retirement investors can be better positioned to capitalize on this long-term resiliency with the consistent use of tax-advantaged savings vehicles, dollar-cost averaging, and regularly consulting with a professional financial advisor. As always, we are here to help with any questions you may have. To recap a few of the things we learned about the economy last week, the positives included that mortgage and refinance applications rose, manufacturing activity in the Midwestern region of the country accelerated, the number of Americans making first-time claims for unemployment benefits held near a record low, consumer sentiment remained elevated, and U.S. gross domestic product (GDP) during the first quarter of 2017 grew by more than previously estimated. As for the negatives, the nation’s trade deficit (in goods) widened, new home sales plunged, existing home sales fell, housing inflationary pressures remained elevated, manufacturing activity in the Mid-Atlantic region of the country cooled, corporate profits growth slowed, and core capital expenditures, an important gauge of U.S. business investment, disappointed forecasts. 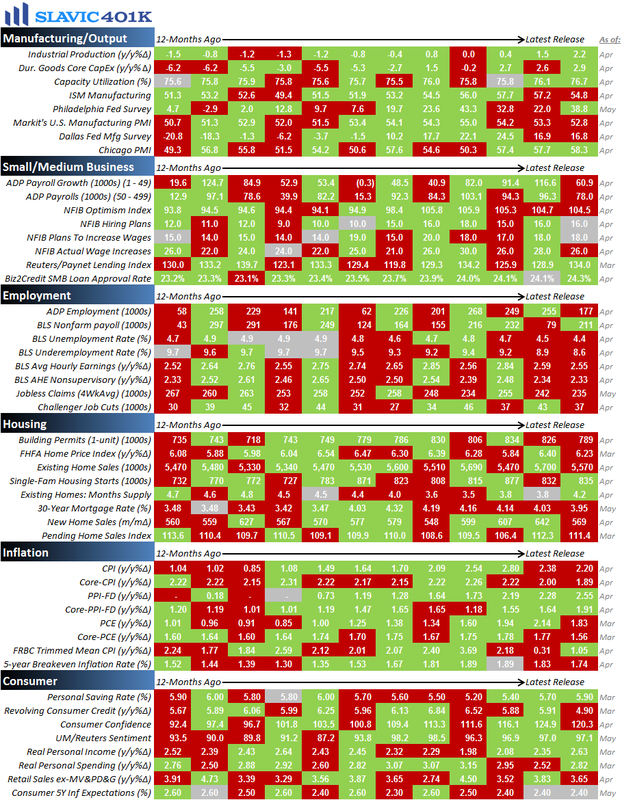 This holiday-shortened week the pace of economic data picks up slightly, with several important reports on housing, productivity, consumers, inflation, and employment scheduled to be released. That includes the potentially market-moving May job report from the Bureau of Labor Statistics (BLS) due out this Friday.